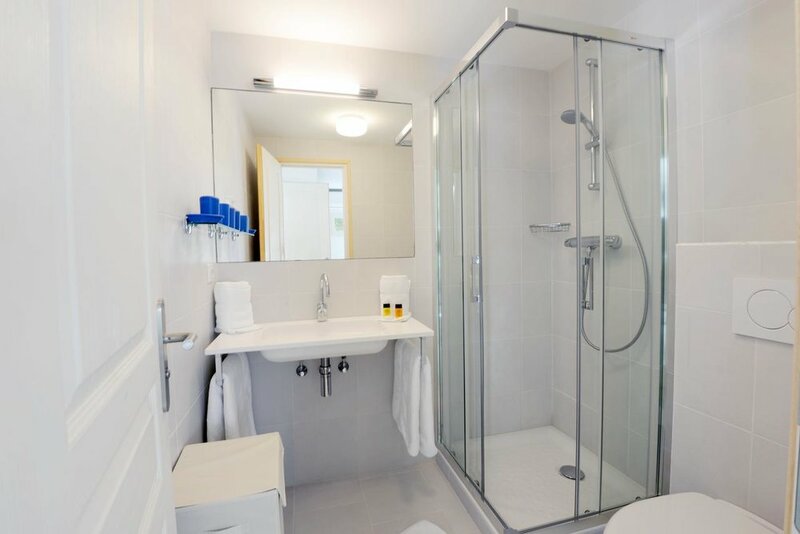 Apartment 1 sleeps up to 6 people comfortably in 2 bedrooms, all with en-suite baths or shower rooms. The 2 bedroom apartment is light and airy with a spacious living room. French doors lead on to a huge private sun terrace with stunning mountain views. The kitchen / dining area is spacious and well equipped, perfect for entertaining and indulging in the culinary delights of the region. Originally a village house and a joining barn, Maison Rose has been lovingly transformed into a home from home. The shared pool occupies a sheltered, south facing position, getting sun all day. It is usually heated from May through to October. The pool is maintained every day, ensuring it is kept clean. The swimming pool is shared and available to all apartments for swimming. We do ask that you please sunbathe in your own private terrace.